She was a child and she had a secret. The only other one who knew her secret was her father’s nephew – the one who raised her when she was orphaned. Still, she became one of the most beloved Queens and women of the Bible. Her name was Hadassah, but you might know her by the name of Esther, the one for whom the book in the Bible is named. We don’t know who wrote the book of Esther (other than the Holy Spirit) but we know from other historical documents that this is a real and true account of a young girl who became queen of the greatest empire in the world at that time. Let’s take a look at Esther in the Bible, I hope you will agree we can learn many things from this lovely lady and the other characters that share her story. Queen Vasti – The king’s rebellious and unsubmissive wife. Hadassah (Esther) – A Jew (though not known by anyone but Mordecai), her name was changed to Esther to conceal her Hebrew heritage. Bigthan and Teresh – Two more chamberlains – they wanted to kill the king. Haman (Hammedatha) – An evil man who happened to be a leader over all the other princes. The Biblical account opens during a great feast of King Ahasuerus. The feast went on for days and on the 7th day, when the king’s “heart was merry with wine” (Esther 1:10) he commanded his chamberlains to bring Queen Vasti to him so he could show her off because she was beautiful. Meanwhile, the queen was having a feast of her own for all the women and so she refused to come at the king’s command. The king became very angry and consulted with the wise men to see what should be done about this rebellious wife. One of the princes suggested that Vasti’s behavior would infect the entire kingdom when the word got out that she was rebellious and refused to submit to her husband, the king. Then he suggested that the king give a commandment that Vasti should abdicate her throne and give her estate to another woman who would be subject to the king’s wishes. He also recommended that the king send out a decree to the entire kingdom that “all the wives shall give to their husbands honour, both to great and small.” (Esther 1:20) The king took the counsel to heart and did all as was suggested. It is easy to become selfish in our own life. Selfishness sometimes leads to loneliness and even exile. Such is the case of the King and Queen. We don’t know what kind of relationship they had but apparently it was one that allowed them to spend much time apart. When we spend too much time with other people and not enough time with our spouse the world can become a sad and lonely place. In this Biblical account we see a king who was throwing a great feast, yet his wife was not there with him. In her loneliness she threw a party for the women in the big house. Both the king and queen were busy doing their own thing and by the time the drunken king called for his wife, she had already lost her desire for him. Her decision to ignore the king’s command led to her exile. And so the search began for a new queen since Ahasuerus put away Vasti. Young virgins were sought from far and wide to be taken into the house of women in the palace. The young girls were taken into the custody of Hege (Hegai), the keeper of women in the palace. They were to begin a purification process before they were presented to the king as a candidate to be his new queen. This was, in fact, the king’s harem. Among the young virgins was Hadassah, the adopted daughter of Mordecai a Jew who lived at the palace. Her name Hadassah was changed to Esther to hide her Hebrew heritage so that she would be pleasing to the king. Esther trusted Mordecai’s plan to conceal her heritage and she did as he said. Esther found favor in Hegai’s eyes and was given the best place in the house of women and quickly began her purification process which took an entire 12 months to complete. Mordecai secretly looked in on Esther to be sure that all was well with her (Esther 2:7-12). As each woman went to be presented to the king she would go in one day and return the following day. After this the women (no longer virgins) were sent to the house of the concubines (harem). Esther found favour with everyone who looked upon her – and especially the king. He loved her above all of the other women and soon made her his new queen. 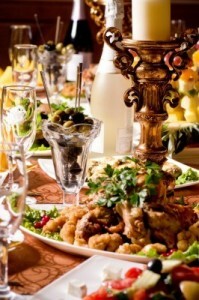 The king gave a feast in honor of his new wife, he called it “Esther’s Feast” (Esther 2:18). During all this time Esther continued to obey the commandment of Mordecai, not to reveal her true heritage. She was submissive to Mordecai as she had always been as his daughter. Esther was a lovely lady inside and out. This was apparent by how many time we see throughout the book that she found favour and grace with all that saw her. She was a very young girl and might have been very scared – especially since she had such a huge secret that she was keeping from the man that was taking her as his wife. Even so, she submitted to Mordecai and was blessed to be the new queen. She gave honour where honour was due. No matter our position in life, nor how old we are, we are commanded to give honour to our parents. By this time Mordecai, being a servant of the king, sat at the king’s gate. One day he overheard Bigthan and Teresh, two of the king’s chamberlains, planning the assassination of the king. Mordecai quickly told Esther of the plan and Esther told the King, giving credit to Mordecai as the one who revealed the plan. The king questioned the evil chamberlains who confessed to the crime and soon saw their own death as they were hanged from a tree. The king wrote of this incident in his diary. As time went on this man named Haman (Hammedatha) was one who the king promoted to be a leader over all the princes in his kingdom. As a leader he expected everyone to bow to him as he passed. One day while Mordecai was sitting at the gate Haman passed and everyone bowed and reverenced him except for Mordecai who refused to bow or give reverence to Haman. This made Haman very angry, so angry that Haman began a plot to kill Mordecai’s people, for he knew Mordecai was a Jew. He lied to the king and told him that the Jews did not keep the king’s laws and so they should be destroyed. The king agreed and gave the order to destroy the Jews. You see, Mordecai pleaded with the queen that she should reveal her heritage to the king and ask for his favor on her people. It is in this passage in the book of Esther that we see a father grieving for his daughter and a daughter, selflessly giving herself for the sake of her people. Mordecai was wrong to disrespect Haman, even though Haman was a conceited and evil man. It is not up to us to decide whether or not we should be subject to our rulers and leaders, God says we must do it — so we must do it! When a ruler or leader is evil it eventually catches up to them. We are to submit, just as we see Mordecai submit to the command of his queen daughter. He did right to ask the queen to intervene. Esther used what she learned about her husband to approach him and ask him to take back the decree to annihilate her kin. She did everything according to the law and according to the custom and the way in which anyone should approach the king, including his wife. She needed to wait for him to ask her to speak. So what better way than to throw a feast? The king loved feasts and he loved Esther and he was very willing to come to her party. She also knew that Haman’s pride would gain his cooperation to come to the banquet with her and her husband – for Esther made it appear that the banquet was to honor Haman. The king loved feasts and he loved Esther and he was very willing to come to her party. At that banquet the king asked Esther to tell him her wish so that he could grant it to her. She delayed her answer for another day and on the second day she invited Haman again to the banquet with the king and queen. Haman went home to brag about all the glory that was being bestowed upon him by the king and queen. Still Haman held his hatred of Mordecai and at the suggestion of his wife he set up the gallows so that Mordecai could be put to death. Haman needed the king’s permission for the hanging. Even so, the gallows were set. Anticipating the next banquet the king was having trouble sleeping the night before so he ordered that the book of the chronicles should be read. After he was reminded of what Mordecai did to save his life from the assassination attempt he asked what was done to reward Mordecai. As he was discussing this Haman was standing outside. The king beckoned Haman to come in so he could ask his opinion of what should be done to honor a man for a great deed. Haman, thinking the king was speaking of him, said that they should adorn the man in the king’s royal clothing and a crown and put him on the king’s horse and parade him around the city. The king thought it a great idea and ordered Haman to take the clothing and the horse and put Mordecai upon the horse for this honor. Haman did all that the king had said and then returned to his own house covering his head in shame. Just then Haman was called to the second feast with the king and queen. At the banquet the king asked Esther to tell him her petition and she went on to ask that the king spare her life along with the life of her people, the Jews. The king asked Esther who was the man behind this evil plot and she said that it was the wicked Haman. The king was so angry that he left the room. At that time Haman threw himself at the mercy of Esther. When the king returned to the banquet room and saw Haman on Esther’s bed he presumed that he was taking advantage of his wife. Haman was taken to be hanged on the gallows that he had built for Mordecai. Mordecai was given Haman’s job and from then on wore the king’s ring and his commands were as if the king had commanded it himself. Esther continued in her appeal to the king to reverse the decision to kill the Jews. The king told Mordecai to pass the word that the plan to destroy the Jews was annulled. Haman’s pride blinded him to the truth that Mordecai deserved honour far above himself. Esther’s wisdom and grace allowed her to place the fate of her people far above herself – even though the price she might have to pay was her own life. Mordecai’s loyalty was rewarded by a king who disregarded heritage and gave him what he earned – a position of trust. The Jewish people, God’s chosen people, were spared and continued as a nation in spite of a grand plot to bring them to extinction. When we do things God’s way, rather than our own way we can have abundant life even on this earth. We are left with this and other great historical accounts that have been recorded in the Bible so that we can learn from them. The Bible never gets too old, even today we can learn from this account which took place during Queen Esther’s life between about 478 – 465 B.C. This Queen of Persia demonstrated character traits such as faith, grace, determination and caution. She did this all the time knowing that she might be trading her own life for the life of many others. In this way we might say that Esther is a type of Christ who willingly gave his life as a ransom for all. Do you know Jesus? I pray that you are as blessed as I am by this precious story of Esther and I pray that this causes you to examine your own life. Would someone consider you to be an Esther? Have you read about this woman in the Bible? Well done Pam. I believe you are the picture of Esther in many ways by your example of godliness and faithfulness to not only the Word of God but to God Himself. Thank you for all you do sister. Would Esther be contravening the law by marrying a non Jew. Would she be able to attend worship since she was living a sexually impure life with the king? Hello Mr. MCKendry and thank you for your question. Esther’s bravery saved her own nation, the Jews. If not for her heroic act of going before the king without his asking, she risked her life, so Esther was a brave, godly woman, but she had no choice but to marry the king. Remember the king had power over the Jews and all of the nation were subject to his commands, so she was not living a sexually impure life. She was married to the king…but obviously, against her will. She was a virgin to this point, so to insinuate that she was living in sexual immorality would be wrong to say and it’s not true. She would be able to attend worship services, and by the way, we are all sinners and fall infinitely short of God’s glory (Rom 3:10-12, 23) and Esther was probably more godly than any one else at the time she lived.